Our second article looked at Japan’s internationalization of education policy. We looked at the paper “Education Reform in Japan in an Era of Internationalization and Risk” by Professor Robert W. Aspinall of Shiga University. This article is an awesome overview combining cross-cultural policy of Japan. It explains that regarding international education in Japan, the Japanese government takes a “Heritage communication policy” model. 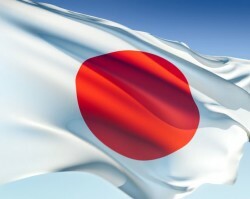 The higher education system has been controlled by the Japanese government in order to maintain Japanese identity. It is also interesting that the foreign nurses are required to pass an exam equivalent to the one that Japanese nurses must take. If they fail, Japanese society would not accept them and return them to their original countries. In the middle of the paper, it was interesting that Japan chose to keep their young generation staying in Japan rather than sending them out of the country like China and Korea. I find the ‘dynamism without risk’ part especially insightful to Japan’s perspective on internationalization. If you look at the numbers of Japanese students who are studying abroad in the past decade, for example, you see a steady decline. Of course, there is the aging population to contend with (less young people in general), but anecdotally I’ve heard that in Japan study abroad is no longer looked upon as an asset. Instead, it means that one’s “Japanese-ness” is in some way corrupted. Companies do not look for top English-language skills; they want someone who holds deep Japanese values and is loyal to the business. What I found most interesting was how the Japanese’s post war effect took a toll on Japanese’s international education. Japan was striving for mutual relationships with other nations. The Soviet Union and the Cold War were supposed to bring stability and peace, but more ethnicity conflicts arose. So, Japan wanted to have more of an international connection to connect with other nations. History does make us who we are today. Japan’s history of having wars with others shaped the way they perceive on their culture, lives, education, and so forth. Japan is one of the top international services that send students abroad and receive many students from different nations. Hopefully that will continue. I really found this piece a surprising, intriguing piece of work. As the title indicates, the article discusses the ways that Japanese policy-makers have struggled to balance national interest with international concerns in their policies. Indeed, the Japanese word for ‘internationalization,’ or kokusaika did not appear in a Japanese dictionary until 1981. Their policies had two main priorities: to control/assimilate outside elements to become ‘Japanese’ and that foreign elements would be controlled, limited, and then required to leave, eventually. One example that struck me the most was of nurses. In February 2010, three foreign nurses passed the same exam as Japanese nurses (out of a total of 254 who took it)—you realize this means, the nurses had to both study the language and the technical terms, while still doing such a difficult job! As someone who has a background in languages and family who is deeply involved in medicine, this example really made me question the ideas behind the policies. There are other examples, too, of discrimination against children born from mixed-race marriages—which just about broke my heart! He also says Japanese children were made to sing the national anthem and had to hoist the national flag at school ceremonies—memories I’m quite familiar with, growing up in the States. It makes sense that the foreign workers should become fluent in Japanese, but to make children and those foreigners “shed habits of learning they may have picked up abroad” seems unnecessarily harsh. It also leads to resentment and maybe even more fear of the unknown. I agree with Aspinall who says that the Japanese really do not have a choice but to engage with the global community and dissolve these policies. The first article we chose to analyze, “China defines road map for becoming a learning society by 2020,” was taken from the China Education Blog. Overall, I was surprised at how progressive the reforms seem to be–very “Western”-style in that it calls for greater emphasis on holistic learning (combining learning-thinking-practice). I would like to know what the authors of this policy had in mind. In addition, concepts like community service and social practice, improved quality of education for disabled students, and expanded school autonomy (greater recognition of private schools) also are an extreme jump from what the Chinese educational system currently looks like. While infrastructure in China changes overnight, new policy and practice can take ages to take root. I have extreme doubts about achieving these foundational reforms by 2020. One area in education in which I do see China expanding rapidly is internationalization of its system. Everyday there is an article or news story about the number of Chinese students going to study abroad, American and other international students studying in China, and new exchanges with universities in China. The 100,000 Strong Campaign, for example, is part of that. It happens to many Asian countries to set their policies following the Western system. That is because many Asians go study abroad to Western countries in order to seek better educational opportunities. Truly, China is one of the biggest countries to send their people to study abroad. 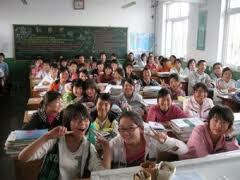 There are a couple of other articles relevant to the education reform in China offered by OECD. It is quite surprising to see a country that has a strong, long line of historical roots to be willing to adapt to something new. China is heavy on their history so to be westernized is definitely a bit of a shock. It would be interesting to see how China evolves their educational policy to be more “modern,” but try to keep their historical roots. However, I do see this as a positive progress especially with the goals of study abroad. I hope to see a positive outcome within the next few years.